Framed Print by Well-Known Photographer, Alan Blaustein, who Captures European Scenes and Settings with an Almost Fairytale Quality. Sevilla, Espana Depicts a Glimpse of a Spanish Courtyard Through an Open Arch in Seville, Spain. 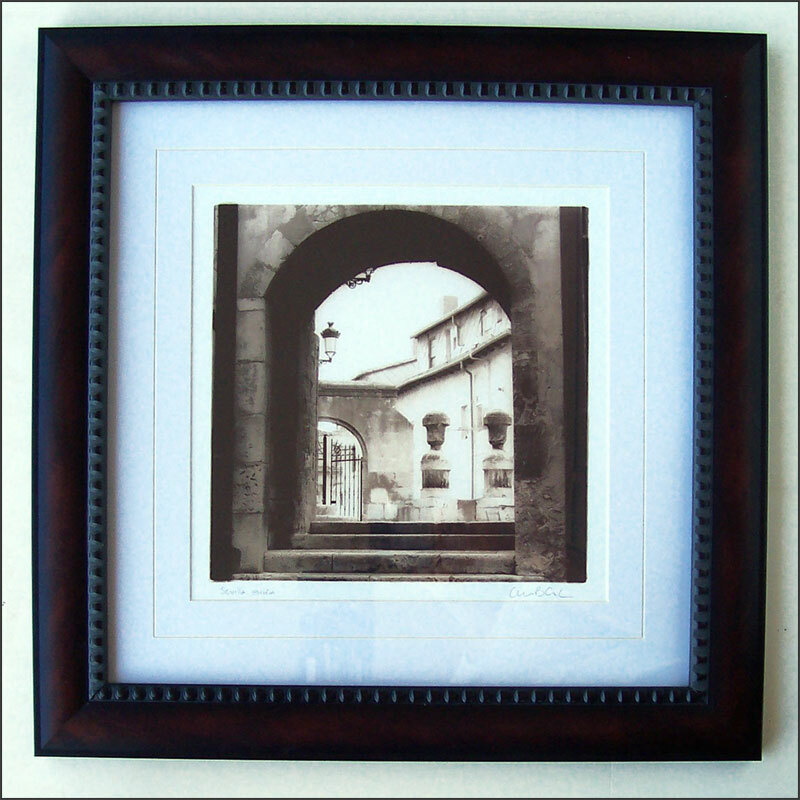 Sepia Photographic Print is Matted and in a Tasteful, Mahogany Colored Frame. As with all Fleur-de-Lis Flea Home Decor Offered, This is a Post-Consumer Item, and may Exhibit Very Minor Flaws in the Moulding. Would be Nice Paired with Companion Photograph ~ Cordoba Espana, also Available.